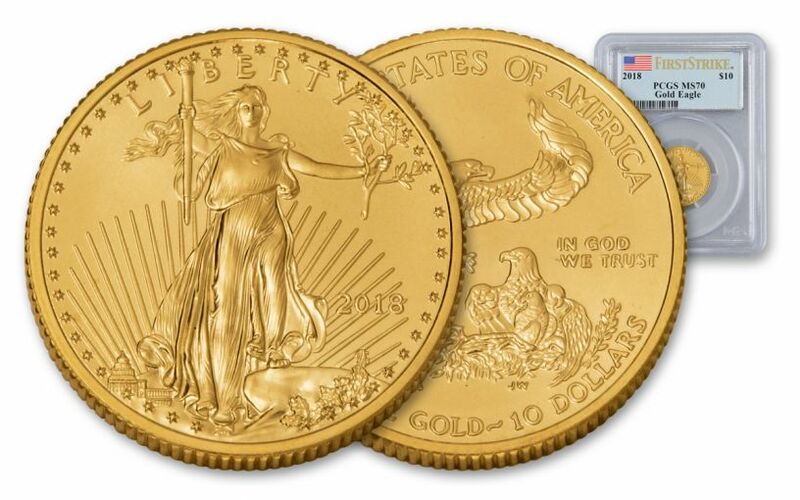 THE LATEST IN A LONG RUNNING SERIES– The Gold Eagle Series began in 1986 and has been issued annually since then. It is attractive for collectors not only because of its stunning beauty and patriotism but also because of the outstanding production quality. Each Gold Eagle is struck from .9167 fine gold, and recent issues, including this one, have been struck at the West Point Mint. 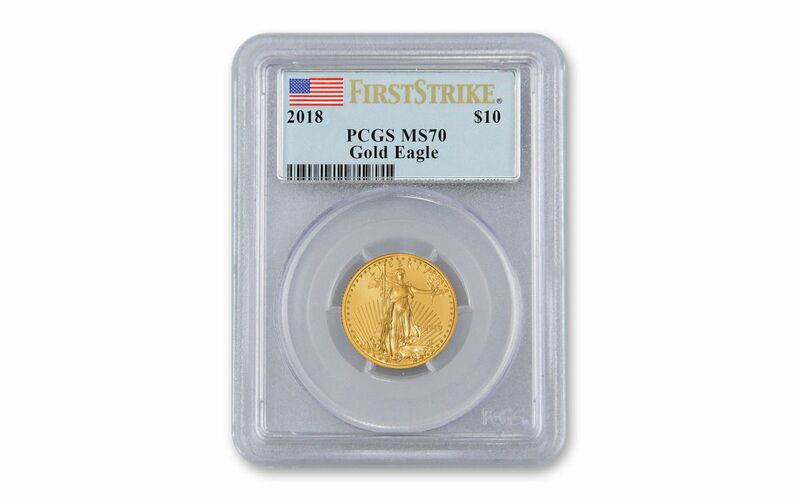 FIRST STRIKE WITH FLAG LABEL– PCGS certified that they received this coin for grading within thirty days of its initial release from the mint by labeling it a First Strike. PCGS has also complemented this coin’s theme beautifully by providing grading information on a label that features an American flag. AMERICAN LEGAL TENDER– Every 1/4 oz. 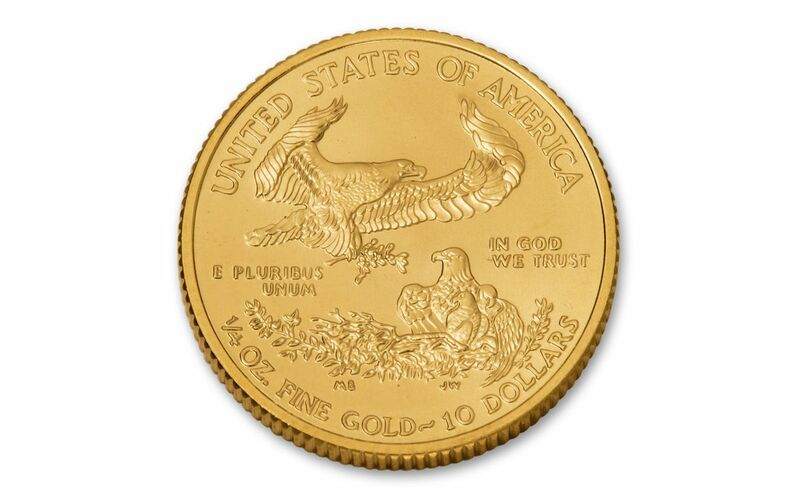 Gold Eagle is $10 legal tender in the United States. 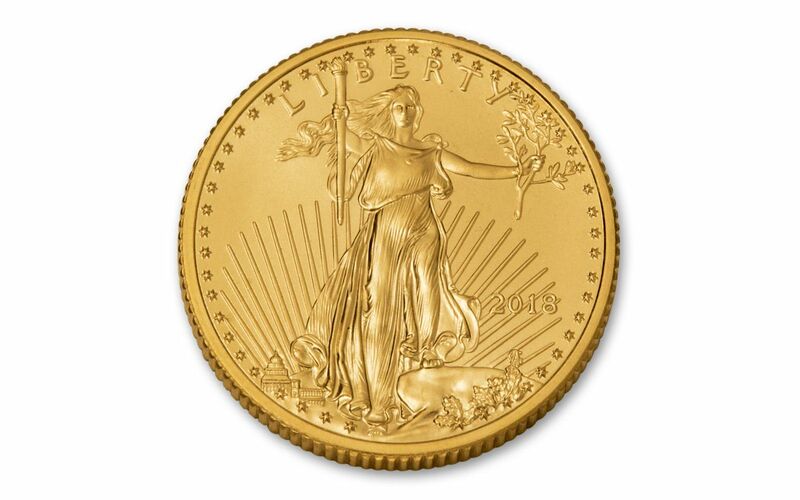 The U.S. Mint has earned a reputation as the world’s most reliable, considered by many to be the ‘gold standard of the gold standard.’ Each coin is backed by the government for weight and purity. CERTIFIED AS PERFECT BY PCGS -- Your coin will be certified Mint State-70 (MS70) by Numismatic Guaranty Corporation (NGC), a distinction that means your perfectly-graded coin will have ZERO imperfections -- showing all features and fields exactly as the engraver and mint intended!